Shanghai SIPG's proposed €56 million signing of Brazil striker Hulk may be the first major deal of the summer transfer window in China but it is unlikely to be the last. It is also set to be one of the most significant as coach Sven Goran Eriksson looks to his new star to revive Shanghai's fortunes in the league and, perhaps, save his job. The club may be young, founded in the previous decade with a Chinese Super League debut coming in 2013, but is ambitious. Since Shanghai International Port Group took control of the club in 2014, the investment has been significant. Former England coach Eriksson was one of the first recruits in 2014. Stars such as Dario Conca, Elkeson and Asamoah Gyan came too, at a cost of over €50 million to join a number of Chinese internationals such as Yu Hai and Wu Lei. After pushing Guangzhou Evergrande all the way in the 2015 Chinese Super League season and finishing as runners-up, management had high hopes prior to the big kickoff that the team could go one better. A first ever league title was the priority. Now, at the halfway stage of the season, just finishing in the top three is looking tough. No wins from the last five games has Shanghai in fourth, a massive 12 points behind leaders Guangzhou. Jiangsu and Sunday's opponents Hebei are also pulling away. Lose at the weekend and finishing in the top two with its automatic place in the 2016 Asian Champions League will be unlikely. Sven Goran Eriksson was appointed as Shanghai SIPG manager in 2014. There is more competition this season than last. Jiangsu finished 30 points and seven places behind Shanghai last campaign while Hebei were in the second tier. Those two teams have invested heavily in foreign talent such as Alex Teixeira, Ramires and Ezequiel Lavezzi but it has not gone unnoticed in Shanghai that the money spent has resulted in huge improvements. The same can't currently be said in China's commercial metropolis this season. With perennial underachievers Shanghai Shenhua just two points behind, SIPG may struggle to be the best in Shanghai, never mind the entire Middle Kingdom. Earlier in June, SIPG officials told ESPN FC that Guangzhou could be caught. That no longer looks achievable. Twelve points behind the team that has won the last five titles is a gap that the Reds can't overcome. And in the new era of Chinese football, that means pressure on the coach. Shandong Luneng let Mano Menezes go in June, a month after Beijing Guoan fired Alberto Zaccheroni. Now, Beijing are just four points behind Shanghai with a game in hand. Last weekend, when Eriksson's men really needed a win at home to Tianjin Teda, they took the lead. There were plenty of chances to seal the win only for the visitors to grab a point late in the game. The outcome was as predictable as the silence in the stadium among the 25,000 fans was ominous. The one bright spot is that Shanghai, thanks to a last-minute strike against FC Tokyo, have progressed in the quarterfinals of the Asian Champions League in August when they will take on Jeonbuk Motors of South Korea. But should the domestic winless streak continue much longer then Eriksson's job will be in danger. Hulk, who arrived in the city's airport on Wednesday to be greeted by by more than 1,000 fans, has much to do. The signing of the striker could be seen as a show of faith in the Swedish boss. In this scenario, this injection of firepower helps the team finish in the Asian Champions League spots and perhaps even win this year's continental tournament. Or it could be the club looking ahead to a new era -- though, as Hulk turns 30 in July, he is not a signing for a long-term future. His extensive experience includes three successful years in Japan's J-League before moves to Portugal and then Russia. This is always a plus for Chinese teams. A proven ability to adapt to the region's culture helps, though so should a reported annual salary of €20 million. Hulk has scored goals everywhere he has gone and with attackers in China generally being of higher quality than defenders, it is likely that he will do so here. Playing in front of the talented playmaker Conca and local star Wu Lei should ensure plenty of chances for the former Porto and Zenit St Petersburg star. He may not be lining up alongside Gyan, however. Given the limit on foreign players in the Chinese Super League, as one import arrives, another must go. It is likely to be either the Ghanaian striker or Jean Kouassi of Ivory Coast. The smart money is that Gyan will be out of the door. The former Sunderland striker has been something of a disappointment. This season especially, he has lacked sharpness and mobility. Whether this is due to a number of injuries does not really matter. 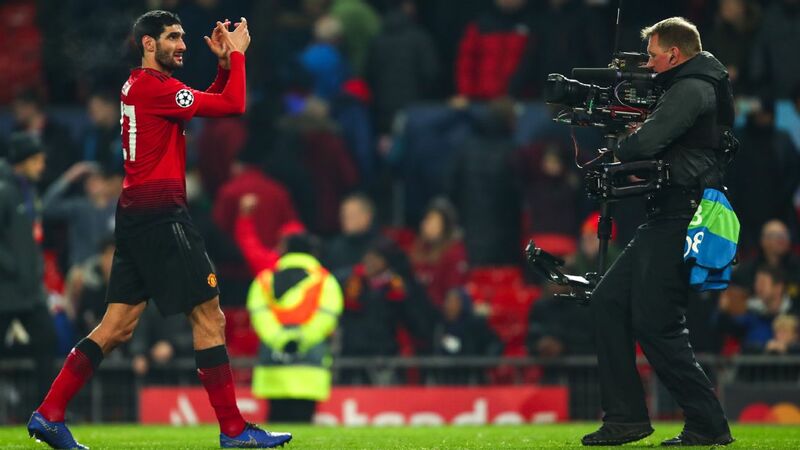 If he was a local striker, his performances would have been seen as OK. For a man who cost a reported €20 million just a year ago and is said to earn over a €1 million a month, more was expected. Hulk does not need to care about that. The first big-money signing of the summer so far has a big responsibility to start scoring as soon as possible for his sake as well as that of Shanghai and Sven.